VISIBLE builds every project by utilizing an extensively experienced resource structure, including an Estimator, Project Manager, Superintendent, Project Coordinator, Project Accountant and a Principal of VISIBLE focused appropriately on each project. Our internal processes are well developed in the areas of ESTIMATING – such that we deliver transparent high detail line item bids, per plans and specs, with full disclosure as to all inclusions and exclusions from the proposal, thus providing the client with the knowledge needed to make prudent decisions – and PROJECT MANAGEMENT – such that we deliver projects that are built in accordance with all building codes and design criteria and produced in the time period required or earlier, while never relinquishing our strict controls on the budgeted job costs and worker safety on site. We also have the ability to self-perform many trades, such as demolition, carpentry and paint systems. Our services go far more in-depth than providing construction plans, however. This is our proven, process approach to construction. We developed a complete process with our customer in mind, as it enables us to deliver projects that meet your scope, schedule, and budget. This alleviates stress, eliminates time loss, and ultimately reduces the overall project cost, as our design fees are nominal and included as part of the construction package. We work with companies and organizations in various stages of their building project—some have already had plans drawn by an outside architect, some are only in the planning phase, and some are ready for our designers/architects to draw up plans and move forward with construction. No matter what stage you are in currently, we will help guide you to the best possible outcome. Construction Management is the planning, coordinating, and building of a project from conception to completion. We are your partners. To ensure the best outcome for your project, you need people who know what they’re doing—every step of the way. 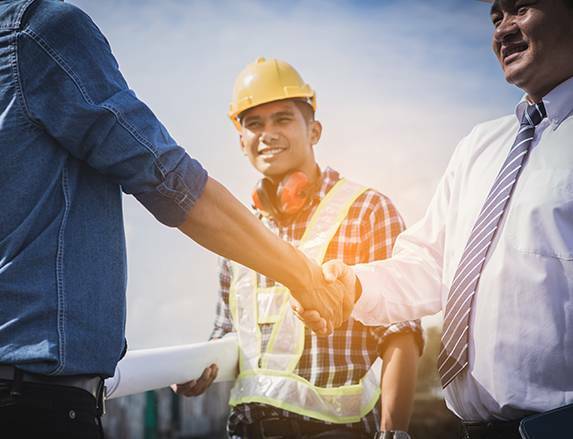 Our experienced construction professionals provide effective leadership, sharp attention to detail and a valued partnership you can count on throughout the life of your project. 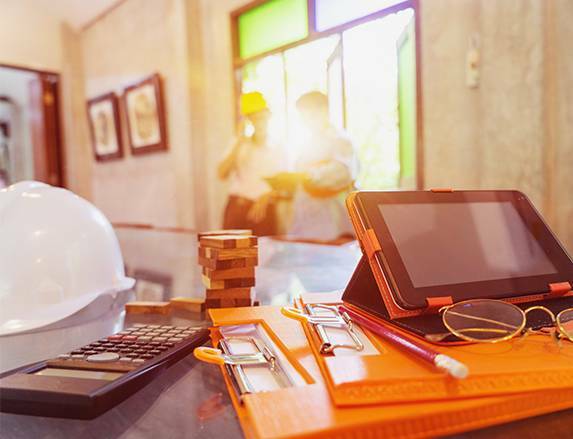 Visible Construction is often utilized as a construction manager by building owners who value our depth of knowledge and experience in all facets of construction. 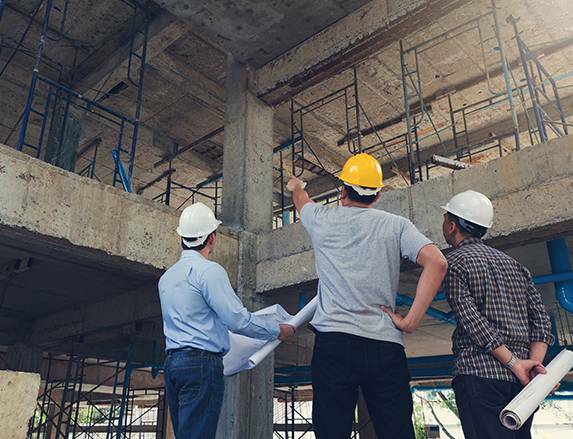 At Visible Construction Services, we build plans based on the needs of your company and your people – and we are willing to handle complex or unusual plan designs and investment alternatives. Our plan design specialists work with you to develop specific provisions and investments customized to meet your needs. This hands-on approach enables creative solutions for complex issues. 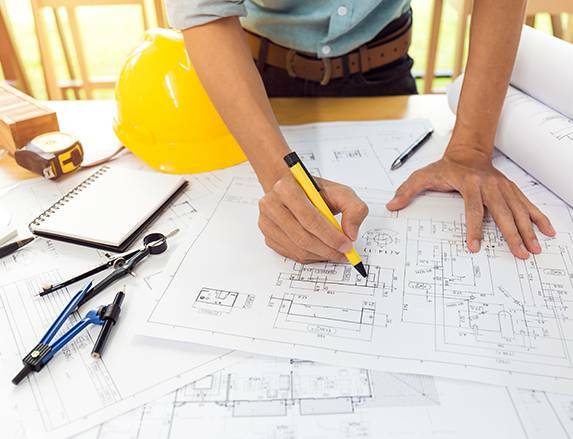 We think outside of the box, and we are dedicated to finding innovative and constructive designs to enhance the value of your construction plan.